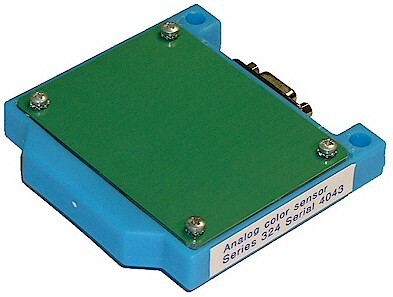 Series 324 sensor: A surface can be analyzed for color. The sensor measures color from the surface optically. 4 lights are used: red, green, blue, and yellow. The results of these measurements and the calculations for color are transferred to an analog output 4 ... 20 mA.